Ian Berry can help you protect your belongings while you rent. As a tenant, it’s sometimes hard to know what contents you need to cover. We can help you protect your belongings from loss or damage caused by insured events such as fire, theft, storm and much more. Why choose Ian Berry Renter’s Insurance? Click here to download the Vital Home Insurance Product Disclosure Statement (PDS). 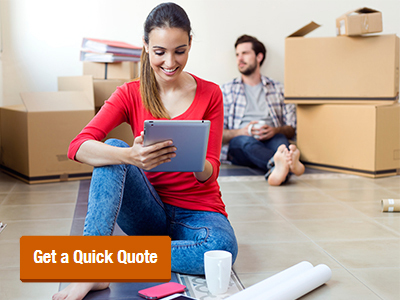 Click here to download the Classic Home Insurance Product Disclosure Statement (PDS). Click here to download the Prestige Home Insurance Product Disclosure Statement (PDS). The fastest, easiest way is via the online claim form. You can submit your home insurance claim notification 24 hours a day, 7 days a week, whenever it suits you. It takes less than 10 minutes to complete the online claim form, and once received, a friendly claims consultant will contact you as soon as possible. Alternatively, you can call us on 1300 292 100 and a friendly consultant will take you through the claims process. *Minimum premiums may apply. Any discounts/entitlements may be subject to rounding and only apply to the extent any minimum premium is not reached. If you are eligible for more than one, we also apply each of them in a predetermined order to the premium (excluding taxes and government charges) as reduced by any prior applied discounts/entitlements. Any online discounts offered are applied to our standard rates (excluding optional covers) and are for the first years’ premium only unless stated otherwise. Discounts may not be applied to any flood component of the premium (if applicable). +Premiums payable by instalments may be subject to minor adjustments (upwards or downwards) due to rounding and financial institution transaction fees may apply.